It's hard to believe that Angel will be 1 very soon and it's time to start thinking about her party. 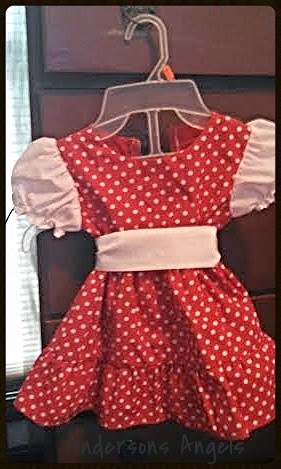 I have already decided on a Minnie Mouse themed party for her. We have her dress for the party and some of the party supplies all ready to go for her first birthday. I know her sister and brothers are getting excited for Angels' upcoming birthday. I on the other hand am sad that my baby girl is growing up faster then i'd like. 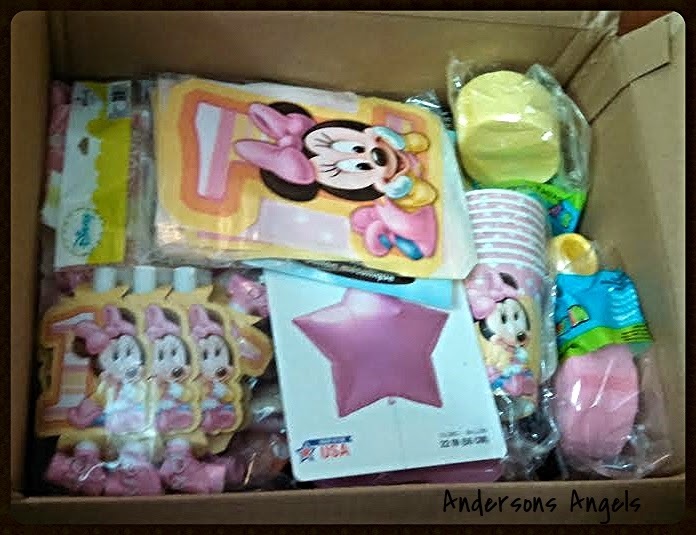 Thanks to Birthday in a Box I was able to get almost all of the party supplies in one very nice kit shipped straight to my doorstep. Everything came packaged neatly in a box, which didn't stay orderly very long because the older kids were curious. I guess they are ready to party now with their little sister. So I have had to put the box up out of sight and reach so the supplies do not come up missing or get used before party day. I am a big fan of the idea of having a whole box of party supplies shipped directly to me in the theme I need. I have always had problems finding the themes I pick out at my local party stores and when they do have the theme everything seems to very costly. So in my opinion Birthday in a Box is a great idea! It's a way to save time, money and gas in today's crazy economy! Have you ever ordered your party supplies from Birthday in a Box? If not you should head over to their site and take a look around at all the different themes they have. There is a theme for everyone there! 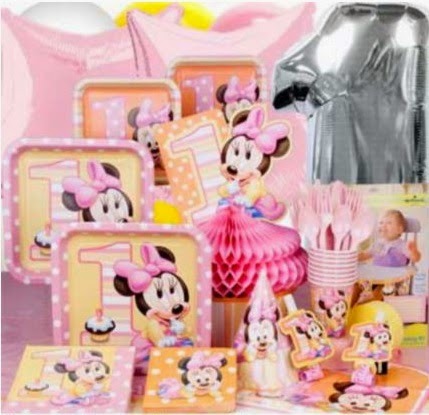 Birthday in a Box currently carries over 150 different party themes you are able to choose from like baby's first birthday, boys parties, girls parties, adult parties and many more. You are also able to get your party supplies personalized as well! Birthday in a Box can personalize any of the 1000's of items they carry. OMG that dress is so cute! That's going to be one cute party! This is where I got Gracie's birthday stuff last year. I love getting the big box of stuff and not needing anything else.